The history of Ottoman medals and decorations dates back to the beginning of the 19th century. In the classical Ottoman system, rewards took the form of gifts such as money, or the bestowal of furs, caftans or robes of honor known as 'hil'at', or of opulent jewels, known as 'çelenk's or bejeweled aigrettes. The story of Ottoman medals and decorations begins in 1798 when the English Admiral, Lord Nelson, earned the appreciation of the Ottomans by defeating the French, who had occupied Egypt. English sources from the outset regarded Nelson's gift as a knighthood whereas Ottoman sources, in stark contrast, considered it a piece of honorific jewelry awarded as a gift. Nonetheless, the new system of rewards gradually began to supersede the existing system during the westernization movement, one of the most important processes undergone by the empire during the course of the 19th century. 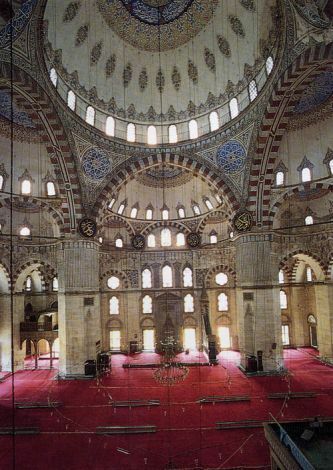 Far more than a pale copy of their original western models, however, the rewards took on a unique style as adapted by the Ottomans. The first order to be conferred on a local notable was given during the reign of Mahmud II. The Portrait of the Padishah, the sole surviving example of which is found in Topkapi Palace today, was the highest honor bestowed during the period. Also observed in this period are decorations of rank, which served the same function as modern epaulettes. The first examples of decorations in the sense we understand them today began to appear in the 1840s as the close correlation between rank and insignia began to break down. During the Crimean War especially, such matters assumed increasing importance, and the Ottoman Empire began to make frequent use of medals and decorations for political and diplomatic purposes. Indeed such decorations came to perform a virtual 'public relations' function. The Ottomans' first order by European standards is the Mecidî order, which was issued during the reign of Sultan Abdülmecid. The first two classes of this five-class order, which was created by decree in 1852, consisted of a breast star which was pinned to the chest and a badge hung round the neck. Medals set with precious stones were given only in very special circumstances, generally to the highest ranking military officers and state officials or to members of local or foreign dynasties. The first sultan to accept a foreign order was Sultan Abdülmecid, although he never wore it. The reign of Sultan Abdülmecid was a period when medals and decorations were conferred with great frequency on officers and to both Ottoman and foreign soldiers. It was also in this period that the Ottomans made the acquaintance of a new and different type of medal, the famous commemorative medals such as that in honor of the restoration of the Haghia Sophia. When the colors red and green used for the Arabic expression that appears in place of a 'tugra' (imperial cipher) inside the rosette are added to this, it becomes readily apparent that this was the first decoration that attempted to establish a 'national' identity uniting Ottomanism with Islam." A look at other decorations from the period reveals that Abdülmecid's successor Sultan Abdülaziz acted rather more modestly with respect to medals, of which he issued a relatively small number. During the long sultanate of Sultan Abdülhamid II, Ottoman medals and decorations reached a peak unseen in earlier periods. Characterizing this period as one of 'Use and Abuse', Eldem describes it as follows in his book: "While the old awards continued to be given, this period also gave rise to a number of 'firsts'. The Order of Mercy, which was created to be given exclusively to women, is one of the most fascinating examples of Ottoman decorations. Rapidly becoming very popular, Sultan Abdülaziz issued an order unique unto himself when he ascended the throne in 1861. Prof. Edhem Eldem explains the significance of this decoration, the 'Ottoman Order' or the 'Order of Osman', as follows: "The choice of the name 'Osmanî' or 'Ottoman' for this order could be perceived as a reference either to the Ottoman State or to the eponymous founder of the dynasty, Osman Gazi. The date 699 (1299/1300) stamped on the reverse of the medal refers to the founding of the Ottoman State. Later, people who had aided victims of war or other disasters, came to be used as well for arbitrary and political purposes. The 'Medal for Education' for outstanding students, the Medals for Merit and Distinction presented to those in the service of the state, the Medals for Glory and Art bestowed mainly on performers in the fine arts, and the medals that were given in return, for example, for donations to the construction of the Hedjaz Railroad or to relief funds following the Istanbul earthquake, are among these 'firsts'. The Nisan-i Al-i Imtiyaz (High Order of Distinction), which was deemed worthy of kings and emperors, and the Hanedan-i Al-i Osman Nisani (Order of the Ottoman Dynasty), which was distributed only to members of the Ottoman and foreign dynasties, occupied a privileged place among them. "Abdülhamid II used medals and decorations consciously and deliberately in a policy that often led to arbitrary, unfair, even ridiculous consequences. The gradual debasement of medals and decorations was lampooned in verses and cartoons by contemporary opponents of the regime." The Young Turk rebellion of 1908 and the war that followed constituted a new turning point for medals and decorations. Having been regarded as a monopoly of the state in the Hamidian period especially, medals now became a dime a dozen, and a whole host of unofficial medals, rosettes and commemorative medallions appeared, reflecting ideological and political rhetoric and wartime propaganda.